The Scorpio Pendant measures 2.8 cm (1 1/8 in) across. 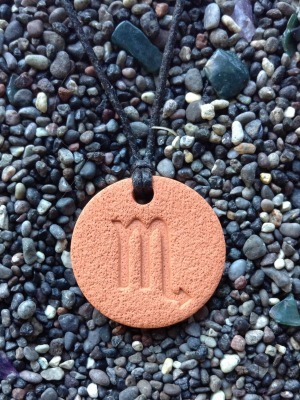 The long memory of the Scorpio and the deep feelings are soothed by wearing this pendant with essential oils. Rhododendron is an excellent oil used with this pendant to sooth the emotions.